Migraine symptoms can be incredibly scary especially because they can be confused for a stroke. Some will even get a visual aura without ever having a full-blown migraine or headache. About 20-30% of migraine sufferers experience an aura but luckily, it doesn’t always have to be this way. In this article, we will talk about what a scintillating scotoma is, how we can understand what is going on in the brain when it happens and how we can go about supporting our brain so that this doesn’t happen. A scintillating scotoma is generally seen as a small flickering blur in your visual field usually near the center. This shining, flickering blur usually grows and can sometimes occupy as much as half of the visual field. In a standard migraine, this blur will start, grow to a certain size, and then disappear. After it disappears, the pain phase of migraine will usually start. But the scintillating scotoma may also happen as part of a “silent” migraine or acephalgic migraine where the aura happens by itself and you never cross over into the pain phase. This can be understood as a less severe form of damage going on in the brain with no reflexing of the pain going into the trigeminal nerve which is usually associated with causing the head pain. Is there a stroke risk with scintillating scotoma? As with all types of migraine and chronic pain, there is an increased correlation between them and stroke. The important understanding here is that migraine is just a label of certain symptoms that happen. But what we want to understand is what is causing the brain to produce these symptoms. This happens when our trigger level, crosses our threshold level at which point the stresses on our body is more than they can handle and they can no longer keep us in a “normal” state. I had that too (scintillating scotoma without the headache). It was scary-- went to the ER because I thought I was having a stroke. Once it’s too much to maintain normal, our body goes into this protective mode we call migraine where it revs up its healing systems, activates pain and forces us to batten the hatches and heal. The lower we can keep our triggers and the higher we can keep our threshold, the less damage is being done to our brain and the faster our brain is healing, reducing both migraine and stroke risk. feverfew helped me a little. I didn't have the scintillating scotoma pre-migraine for a long while taking it. Sending best wishes. Treatment for a scintillating scotoma through mainstream avenues will be the same as treatment for any migraine with aura. But covering up symptoms by using pain killing drugs and drugs that stop the natural systems of the body is just asking for more problems. We haven’t changed its need for help, just its ability to ask for it. So we want to give it support, heal our brains metabolism, build stronger brain cells, take stress off of our brain and look at the root causes of the biggest strains on our bodies. See our post on 3 powerful steps for acephalgic migraines to learn more. The most commonly attributable cause for migraines with aura is cortical spreading depression(CSD). Cortical spreading depression can be understood as a “wave” of “depression” covering the cortical part of our brain which is the outside of it and called the cortex. These blackouts are like power outages and resets. But we are a living organism so having live tissue go through a blackout can be very dangerous because our tissues constantly need nutrients like oxygen to stay alive. When this blackout goes over the visual processing part of our brain that deals with all of our visual processing, we can experience weird visual symptoms. This is where the scintillating scotoma comes from. If the blackout goes over another susceptible area like our scent system, we will hallucinate with odd smells known as phantom smells. How do we stop CSD? Cortical spreading depression is a wave. It’s a surge of activity followed by a mini-blackout where all electrical activity stops. This is generally started in one small area and if it’s large enough, it will start spreading, affecting more and more of the brain. We can think of our brain like our house. If we were to create a power surge in our kitchen, if it was strong enough and we didn’t have breakers in our house to prevent them, it could start affecting other rooms like our bedrooms, washrooms, etc. This is like our brain. When it becomes unstable because it can no longer maintain a normal state, brain cells will get excited. These excited brain cells will stimulate others creating a wave of excitement. Our brain cells are not prepared for this because they are unstable which means their resources have been drained and they aren’t running optimally. So when the wave of excitation comes, it’s followed by a wave of inhibition. So we want to prevent this entire mess in the first place. One of the main causes of brain cells getting over excited is too much glutamate. Glutamate is a neurotransmitter used in the brain to communicate. But it has also been implicated in migraine. What’s one of the biggest migraine triggers and a huge source of glutamate? Many foods have glutamic acid and it poses no problem because it is bound inside nutrient complexes. But when that glutamic acid is “freed” then it can absorb rapidly and make its way into our brain in large amounts. Even menstrual cycles have been found to increase our bodies own levels of glutamate when estrogen and progesterone drop which is at every period. Generally, most whole foods have their glutamate or glutamic acid bound together to other amino acids and nutrients so that digestion and release of them into the body is slow. But some foods are high sources of these unbound forms of glutamic acid. Let me know if you notice anything peculiar about this list in the comments below. We want to be wary of any of these foods triggering a headache or migraine-like symptoms so that we can pinpoint if it’s a food sensitivity, excess glutamate etc. See this pin for symptoms of MSG sensitivity. Of course, there are other causes for cortical spreading depression which we go into depth in our article 3 truths of frequent ocular migraines with images here. But we also want to stop the level of stress on our brains before we even get close to triggering a migraine. The closer we are to the “threshold” of trigger, the more volatile and susceptible our brains are. Like the age-old saying, an ounce of prevention is worth a pound of cure, for migraines, this is truer than ever. This is where the spaces in our intestinal tract that usually let in nutrients and keep toxins out get too large and can no longer police what’s going on. This lets a number of harmful substances into our blood and sets us up for many chronic inflammatory and painful conditions. Our brain has a protective film between it and our bloodstream as well. 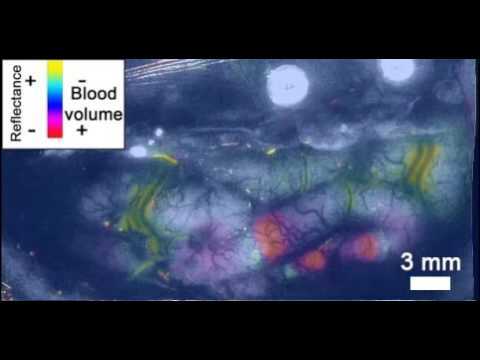 This is called the Blood-Brain Barrier. When this barrier gets leaky, our brain cannot keep things like glutamate out of the brain space and this means lots of problems. We have to avoid this and support the repair of the blood-brain barrier. And more can be found out about the leaky brain in our article on the 3 truths of frequent ocular migraines here. Nociception is the stress sensing mechanism of our nervous system. Our nervous system connects our entire body together. If something is stressing our nervous system in our toes, our gut, our hands or anywhere else… It will add to this nociceptive stress perception. This all gets added up by the nervous system and if it thinks it’s too much to handle, it gets triggered and a cascade of negative stress reactions can happen even if we aren’t consciously/emotionally stressed. So we want to lower the total nociceptive burden. This means, avoiding heavy exercise, avoiding too much mental stimulation, avoiding emotional stress, keeping our environment and diet clean of chemicals pesticides/herbicides, balancing our hormones etc. These all play a part and self-care is a must. If you only take breaks when you get sick, you are feeding your own illness. There are some amazing nutrients that keep our brain calm and cool. One of the most well known, most useful and most highly recommended is magnesium. See our article on magnesium glycinate for migraines to understand the studies, why magnesium works and how to use it. Then we also need to think of zinc which is a key mineral and many people are low on especially with hormonal issues… and GABA which is a neurotransmitter the brain uses to calm down. GABA is like glutamates calm, cool, and collected cousin in the brain. Where glutamate excites, GABA calms. When we can feed our brain the nutrients it needs, lower the nociceptive stress it feels and prevent leaky brain from creating chaos, we can make huge gains in stopping brain excitation and blackouts before they start. To get a deeper understanding of migraine than you’ve ever had before join the community here. Do you experience scintillating scotomas? What do they look like to you? Let me know in the comments below and share this with someone who may benefit from this article.